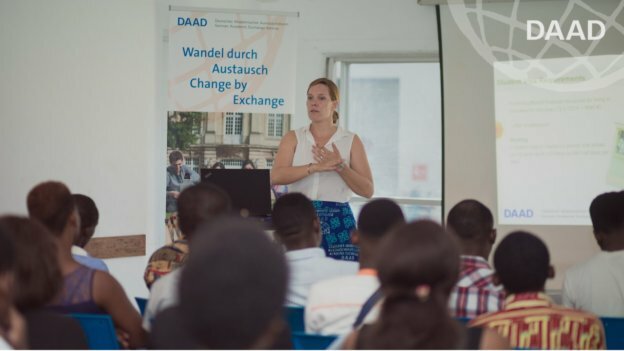 The DAAD Information Center holds a monthly Introductory Session on Study and Research Opportunities in Germany. Participation in this session is free of charge but mandatory prior to visiting the Information Center for individual consultation. Anyone planning to study or do research in Germany is welcome to attend the Introductory Session. - visa requirements, among others. The Introductory Session will be held on the 1st Thursday of every month between 4pm and 5.30pm at the Goethe-Institut (inner courtyard), which is located next to NAFTI. If the first Thursday of the month falls on a public holiday, the Introductory Session will take place the following Thursday.